Crispy parmesan-panko crust is the perfect topping for delicate tilapia. 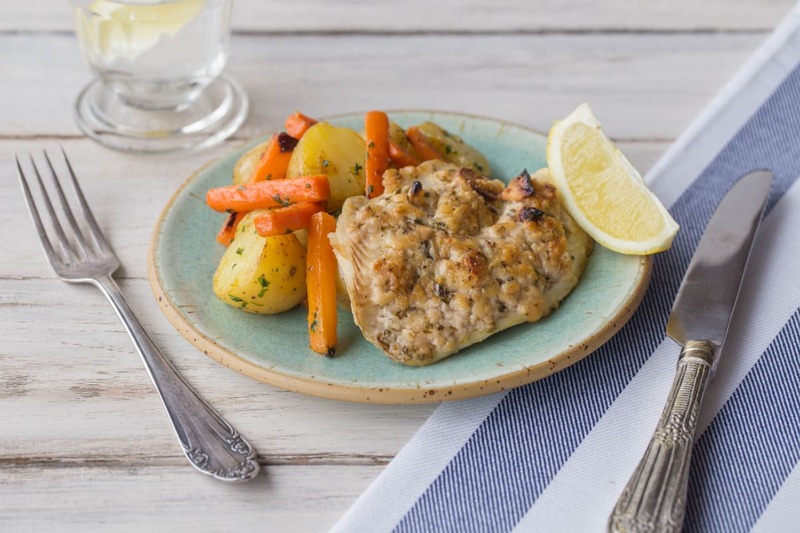 We’ve served it with potatoes and carrots in a garlicky herb butter for a Spring preview! Preheat oven to 400 degrees. 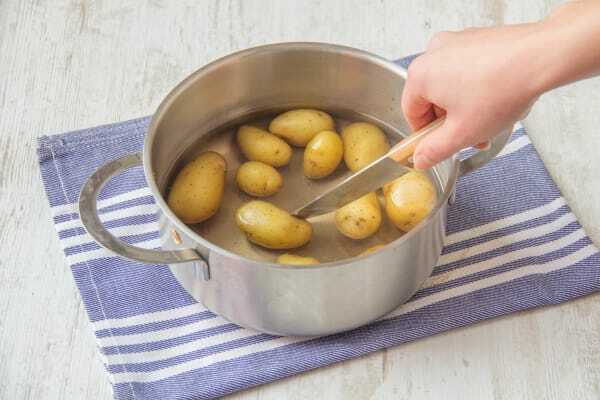 Place the potatoes in a pot of water with a large pinch of salt. Cut any larger potatoes in half so they all cook evenly. Bring to a boil, reduce to a simmer, and cook for 15-20 minutes, until easily pierced with a knife. We'll be adding the carrots to the pot later, so keep an eye on the time! Mince or grate the garlic. 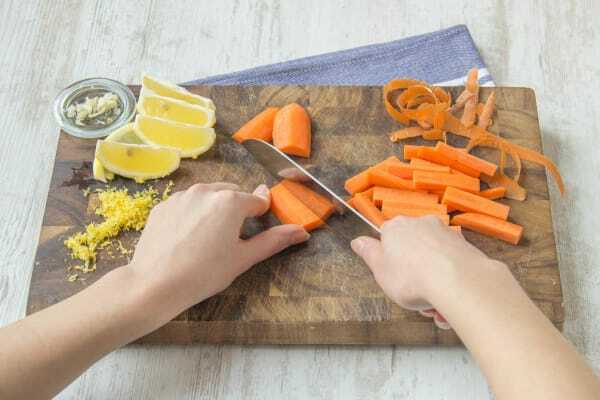 Peel the carrot and cut it into sticks 2 inches long and 1/2-inches thick (as if you'd be dipping them in hummus!) Zest and cut the lemon into wedges. Finely chop the parsley. In a bowl, combine parmesan, oregano, lemon zest, panko, half the garlic, and 1 teaspoon olive oil. Season with salt and pepper. 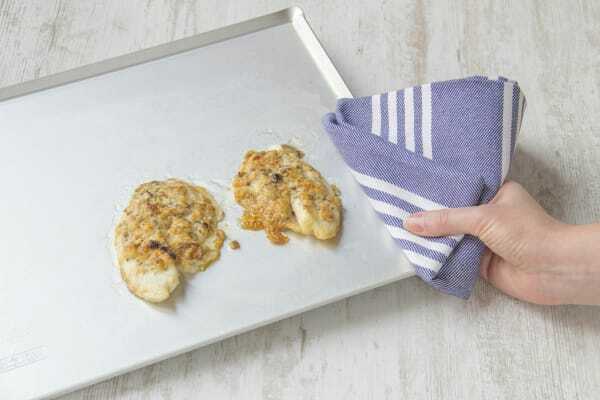 Place the tilapila fillets on an oiled baking sheet. Drizzle each tilapila fillet with one teaspoon olive oil and season with salt and pepper. Top each fillet with half the panko mixture and press to adhere. Place in the oven and bake for about 8 minutes, until the fish is slightly opaque and easily flakes with a fork. Hint: If you'd like, turn on the broiler and place the fillets under the heat source for about a minute, until the crust is golden brown. Make sure to keep an eye on it, it can burn quickly! 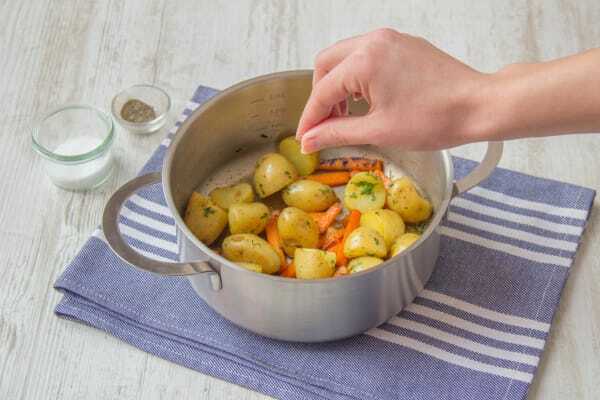 When the potatoes are almost ready, add the carrots to the pot with the potatoes and cook for about 5 minutes, until crisp-tender. Drain and return to the pot. Add the butter, remaining garlic, and a pinch of parsley. Season with salt and pepper. Cook, tossing, for a minute or two, until garlic is fragant. Serve the tilapia with the potatoes and carrots to the side. Finish with squeeze of lemon and remaining parsley.